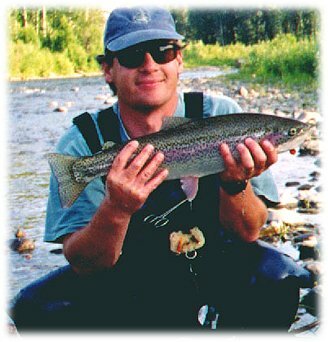 Matsu Valley Rainbow Trout Fishing on the Fly is great during Alaska's late summer and fall. Todd Petersen has caught bigger rainbows, but this one fish was the cherry on top of the sundae. Over the course of the day, Todd successfully landed all 5 species of Pacific salmon, then switched over to smaller, more challenging fish providing his arms, shoulders and back a rest. He was immediately rewarded - time and time again.